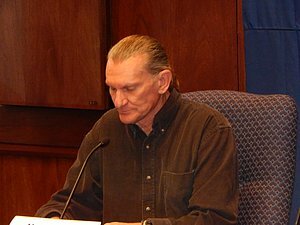 – Mark Wetmore, the active coach with the most NCAA cross-country team titles, talking about how he got his start in the sport in 9th grade under the tutelage of Ed Mather. Nick Symmonds book excerpt, you're gonna want to read this! Yuki Kawauchi Wants Gold In Friday’s Asian Games Marathon The favorite is Ethiopian born Shumi Dechasa, who won the Hamburg Marathon in May with a personal best 2:06:43. *Kawauchi Could Secure Olympic Spot With Top 8 Finish If he wins, he’s on the 2015 World Championships team. To lock up an Olympic spot, he only has to be top Japanese and top 8. Go figure. Ehsan Hadadi Wins 3rd Straight Discus Title – Iran’s First Gold Of Asain Games In the rounds of the 400H, Bahrain’s Kemi Adekoya got her second Games record by running 55.09. Lauryn Williams “Playing With The Idea” Of Bobsled This Season, But Is 100% Done With Track And Field Williams, who didn’t compete in track at all this year, had thought she’d retired from both sports. Yelena Isinbayeva Gave Birth To Her Daugther In Monaco, Hopes To Return To Russia Soon She calls her daughter the “biggest victory” of her life. RR: Excellent Blog Post From Marathon Coaching Guru Renato Canova: “The ‘2:03:00 Wall’ Finally Falls Down” Canova gives a nice analysis of Kimetto’s WR as well as who he expects can break the WR next and how fast they can run. He thinks it’s not long until someone can run 2:02:23. NY Times Writer Thinks We’ll See It In Our Lifetime If the current trend continues, the sub-2 hour mark would go down in a decade or two. We still say no way. Interesting Marathon WR Analysis From Guy Who Predicted Back In 1991 That Someone Might Break 2 Hours Before 2040 He talks about the ideal conditions for a marathon WR attempt, but financial incentives, course and weather conditions. Kimetto Warns Rivals To Expect Another Decade Of His Marathon Virtuosity Will he get the Masters WR too? RW’s Roger Robinson Explains Why Dennis Kimetto’s WR Wasn’t All That Historic And That We’re Still Not Close To A Sub-2 Hour Marathon He also asks why women’s marathoning hasn’t progressed like men’s. Cool Event: Kid Relay Runners Have A New Goal Of 2:02:57 Thanks To Kimetto Teams around the world complete the challenge to break the record with kids running 200m each. Apparently one school has already run 1:59:24. IAAF Asian Games Day 3 Recap: Mutaz Essa Barshim Wins HJ In Meet Record With 2.35m Barshim’s younger brother Muamer took bronze. Disgraced doper Rachid Ramzi won silver in the 1,500 as Qatar’s Moroccan-born Mohamed Al-Garni won. Maryam Jamal (formerly Ethiopia) won the 1,500 in 4:09. Qatar’s Abubaker Ali Kamal (just finished a 2-year EPO ban last month) won the steeple in 8:28.72. 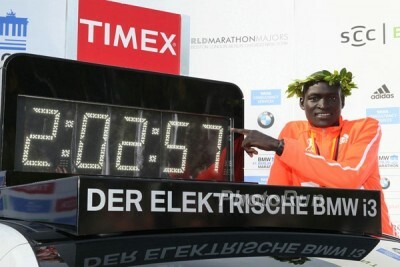 Last week was a momentous week with Dennis Kimetto breaking the 2:03:00 marathon barrier. We take another look at that, compare Tsegaye Kebede to all American marathoners ever, praise Shalane Flanagan, like Galen Rupp's medal chances, and tell you why runners are officially crazy. 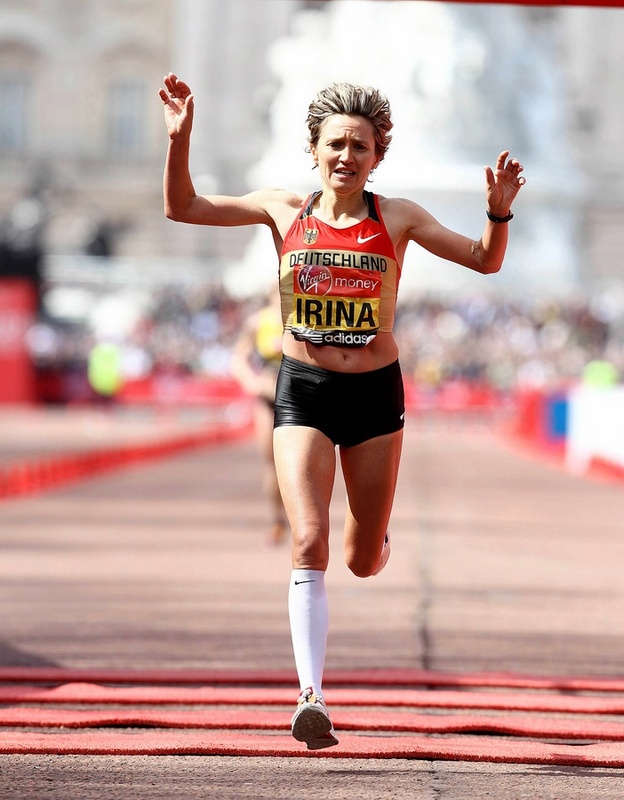 German Marathon National Record Holder Irina Mikitenko Retires, Says Farewell To Her Glorious Career The 42-year-old was 3 times top 5 at Worlds in the 5,000 without medaling but then found 2:19:19 glory in the marathon at age 36 just months after missing the Beijing Games due to injury. She ran 2:24 last year at age 41. Great Read: Runners World Catches Up With Marla Runyan People under the age of 25, if you don’t know who Runyan is, read this. Recruited as a high jumper for college, she became a heptathlon star. Then she moved to the 800 and quickly to the 1,500 where she made the Olympics. 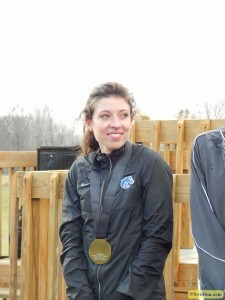 Then she made the Olympic team at 5,000 and was soon 4th in NY at 26.2. And here’s the kicker – she’s legally blind. Running Times Looks At The Remarkable Success Of Matt Roe’s Butler Bulldogs They had a MAGICAL 2013 as they got 3rd at NCAAs and they have just six women’s scholarships. That’s what we call coaching. How he wasn’t coach of the year is beyond us. *Symmonds Doesn’t Name Names In His New Book You can google and figure it out but they aren’t named specifically. Good News, Ladies: Study: Gender Equality Leads To More Olympic Medals For Men And Women Countries with greater parity – particularly for measures of educational equality – had more women and men reach the podium, irrespective of GDP. 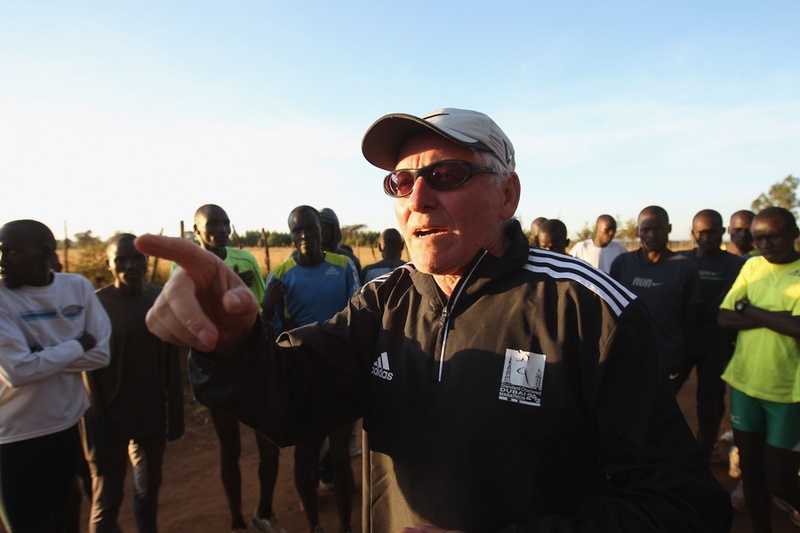 Usain Bolt-Signed Vest And Spikes Signed By Jessica Ennis-Hill Among Items Being Auctioned To Raise Money For Parkinson’s UK As Part Of Bud’s Run & Bash Bud’s Run is the creation of coach Bud Baldaro, who was diagnosed in 2009. 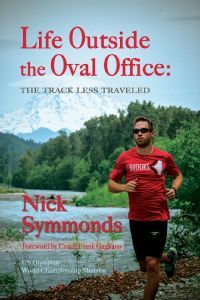 RRW: Q&A With Nick Symmonds On His New Book, “Life Outside The Oval Office: The Track Less Traveled” Symmonds talks about the writing process and what kinds of things he included in the book. He also says he’s 100% healthy and training great. 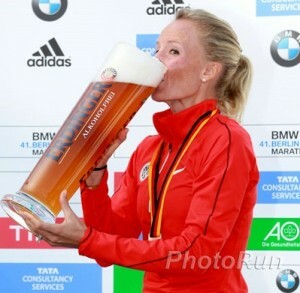 He’d like to run a 5,000 and 1,500 this spring, but his next race on the track will be a beer mile. 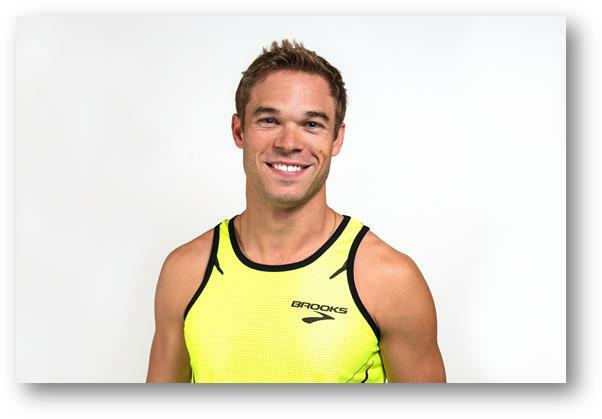 MB: Nick Symmonds book excerpt, you’re gonna want to read this! B.A.A. To Review Boston Marathon Registration Process Since 1,900 Qualifiers Found Out They Actually Hadn’t Qualified Either have a qualifying time or don’t. LRC Emma Bates Struggles, Alexa Efraimson Collapses, All Hail Southern Utah And Watch Out For … Furman? Seven Thoughts On XC’s First Big Weekend We give you the scoop on the key XC results from last weekend. Along the way, we also talk about the men of Oklahoma State and Providence. High School: Big Upset As #17-Ranked Elmira Girls Beat #1 Nationally-Ranked Fayetteville-Manlius By 4 Points At McQuaid Invitational Unranked Shenendehowa was only another 4 points back in 3rd. Washed Up Or Coming Back? Moses Mosop Released From Contract With International Athletics Consultancy The IAC director says, “I have no doubt that Moses can still compete with the best our sport has to offer, only if this was his priority. … Moses has shown disappointing lack of commitment to his training and professional conduct.” Apparently Mosop also broke his contract by entering a race in Italy set for October 11th.